Yesterday I submitted a post comparing and contrasting Communism with Mormonism. Today I’d like to do the same with Capitalism. In doing so, I attempt to explore where it is Mormons might stand between these two opposite poles of the political and economic landscape. 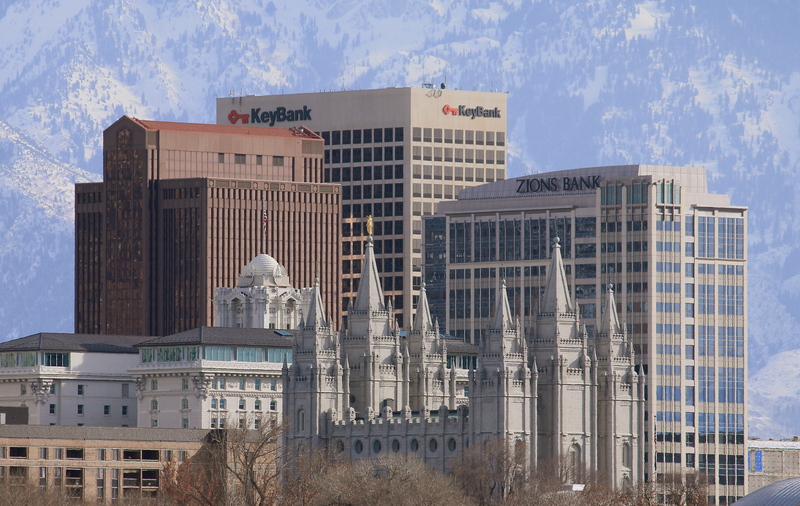 Capitalism is easier for most Mormons to sympathize with, because it happens to be the most successful and transformative economic system in human history, and naturally, we want to be associated with winners. Communism of course, is a big loser, and it’s easy to hate. But the fact that Capitalism is an expression of scientific truth is the number one reason why Mormons, as truth collectors, should embrace and accept it’s reality, just as we should accept all demonstrable science. Just because the science of capitalism expresses truths about some of the more base and competitive instincts of mankind doesn’t mean we should ignore those instincts. excessive taxation and regulation. These same values are highly regarded in The Book of Mormon, where the 50% tax of the Lamanites was viewed as a burden almost equal to slavery. profit motive works in harmony with competition among individuals or groups for economic resources and dominion. Hugh Nibley argued that Mormonism is incompatible with Capitalism because of these “natural,” profit motivated instincts. The Book of Mormon says that the “natural man is an enemy to God.” Christ invites us to become saints, reject self-interest in favor of selflessness and charity, and reject competition for unity in the body of Christ. It might be said that our self-interest, while an understandable motivation, is not the highest and noblest of human instincts, and that it should eventually be replaced with pure, unselfish love. But as we live in a fallen world, God and has prophets have continually appealed to our self interest to motivate us, and thus Capitalism is no great evil, but simply a pragmatic solution to the situation we find ourselves in. of government, where the poor, lesser educated, and the less astute tend to get poorer, while the smart, educated, and rich tend to get richer. These gaps grow over time when capitalism is left unfettered. like them within the capitalist system. I can think of nothing compatible in Mormon doctrine with this kind of ruthless competition. However, this kind of pure Capitalism is not what is practiced today. successful form of economy in the history of the world. deny that Capitalism is the true and natural expression of human passion and instinct. But instead of squashing that instinct, we bridle it through appropriate government regulation and religious commitment. appreciate. God made us human. He made us Capitalists. That is our nature. But he also gave us laws and commandments so we wouldn’t become like the children of Lord of the Flies. I agree with your post. I love the expression “A Bridled form of Capitalism”. This is an accurate description of our mixed economy. Here are some of my thoughts on a similar theme.